Have you ever made too many jars of jam or been overloaded with pickles? 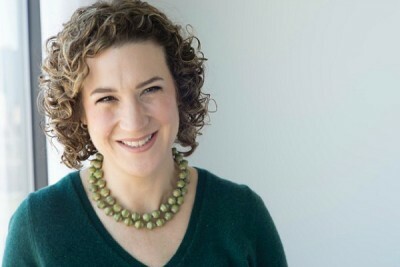 That’s why I was excited to bring on this week’s podcast guest – Emily Paster. She is the author of the new book, Food Swap -Speciality Recipes for Bartering, Sharing & Giving. We dive right into the problem of being over zealous with our canning and how that issue can really be a HUGE opportunity. We talk about swamping those canned goods with others at a food swap. A lawyer by training, Emily Paster launched a second career in food writing in 2010. She lives and writes in the Chicago area (just west of the loop). Her popular blog “West of the Loop” features her adventures while exploring new foods and sharing what she learns. She is also an experienced food writer covering DIY projects, food preservation and food swapping. 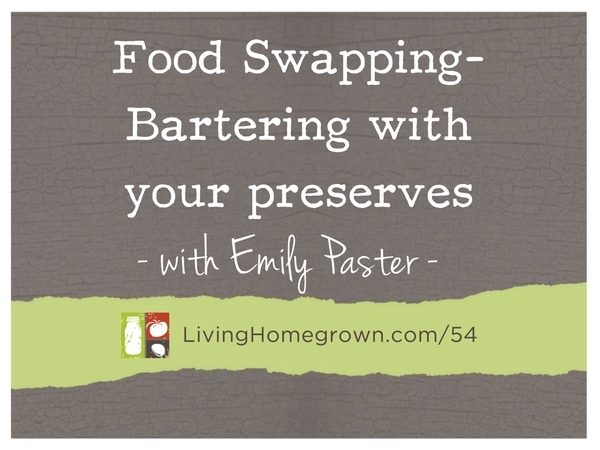 Emily is the founder of a large and popular food swap in the Chicago area. 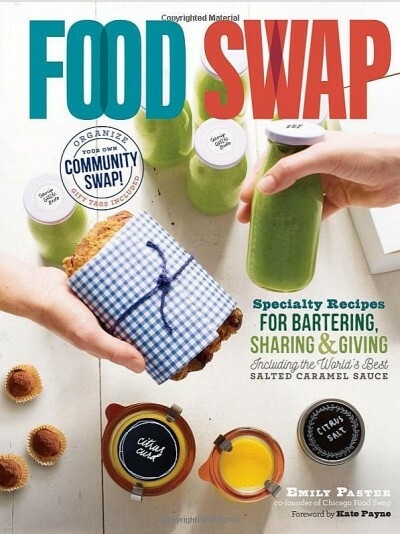 She wrote her book, Food Swap, to help others learn the joys of participating in swaps in their own area. It has tips and insider secrets for how it’s done. But the book goes well, beyond that. It also features tried and true recipes that are perfect for gift giving – many of which have been huge hits at past swaps. Who doesn’t want access to those popular recipes? A food swap is a recurring event where home cooks, home gardeners and home bakers get together to trade and barter their homemade and homegrown food. It can be large or small and it can be public or just among friends. But it always fun and full of opportunity for incredible flavor and friendships. Think of an 8 oz jar of jam as the standard currency for trading. What would be a fair trade for that? Smaller items (i.e. a mini loaf of bread instead of a whole loaf) do better in trading because you will be usually trading for the equivalent of a jar of jam. Bring multiples of items (not just one) so that you can make more than one trade. Bring 2 different things so you have more flexibility for trading. Savory items always do very well because there are always a lot sweets. Emily covers legalities more in the book, but the most important thing to remember is to not use money for trading. All bartering must be with food. Do not allow someone to come in and pay for anything with money. Doing so can get you into trouble because such transactions require more regulation, permits, etc. You can always do mini swaps instead of a large event. A fun thing to do is have a holiday swap with friends and family. Everyone can bring homemade food items and trade that instead of doing gifts. This is especially appealing to younger people, who don’t have a lot of money. And everyone loves getting a homemade item. As we were chatting, Emily spoke about making quince paste, which I have never made before. It is a firm gel made from quince (a fruit that is very high in pectin). The gel can be sliced and served with hard cheese. It sounds divine and now that I have a quince tree, I will be making this! Emily has a recipe for making quince paste in her book. The best way to find a food swap is to google your city name and food swap. If that doesn’t turn up anything, try thinking of nicknames for your city. (For example, the Denver food swap is called the “Mile High Swappers”).